Tito’s Handmade Vodka is launching a speak-easy style pop-up bar to engage with passengers traveling through Las Vegas’ McCarren International Airport T1 this summer. The activation coincides with one of the peak airport traffic periods at LAS (PAX 28.2m). 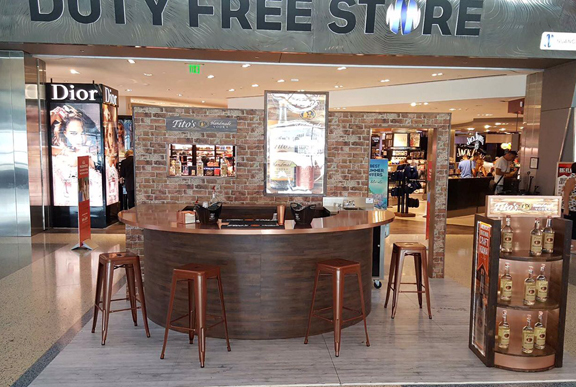 Dufry is the first duty free operator to feature the pop-up, which will be rolled out to other key airport locations in North America later in the year. 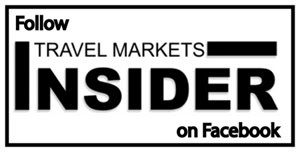 Many of the passengers are millennials, says the company. The bar is housed within a Chicago-style brick warehouse façade, playing on the brand’s no fuss, craft image. The interior features distressed wood, a copper bar and copper bar stools mirroring the traditional copper-pot stills used to produce Tito’s Handmade Vodka. Visitors to the pop-up can sample Tito’s Handmade Vodka in cocktails or neat so they can discover the sweeter, rounder flavor profile of America’s original craft spirit, which is derived from its corn base. In the nearby Dufry store, 1-litre bottles of Tito’s Handmade Vodka are packaged in red, white and blue burlap bags launched to celebrate America’s Independence Day (see sidebar below). This is the second in the series of promotional gift bags launched this year. Tito’s is also available in 1.75-litre and 375 ml bottles, which together with the seasonal gift bags considerably increase on-shelf presence. Tito’s Handmade Vodka is distilled and bottled by Fifth Generation Inc. in Austin, Texas, and is available in Liter, 1.75L, 750ml, 375ml, 200ml and 50ml sizes.